Majority of people all over the world has a love affair with coffee. Every day, we make our beloved cup of Joe to keep us going. But have you ever stopped to wonder why some people use ground beans as opposed to whole beans? Does it really matter if you buy your coffee whole or ground? Whether you are a coffee connoisseur or just the average coffee drinker, deciding which type of coffee to buy greatly affects the coffee experience. When choosing between whole beans vs. ground coffee, it all boils down to convenience and quality. How so? Why so? Read on to be illuminated. Ground coffee is very popular as it is very accessible. 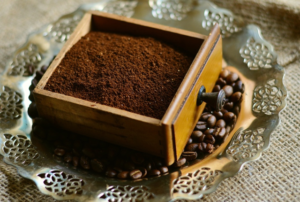 Made from whole coffee beans, ground coffee is then grounded, packed, and marketed. While you are more likely to choose ground coffee because of its convenience, some coffee connoisseurs would prefer whole beans for a better coffee experience. Whole bean coffee is marketed whole and the responsibility of grinding the beans is left on the buyer. Commonly, whole beans are grounded just a few moments before brewing so the taste of the coffee is more complex and fresh compared to ground coffee. Coffee–whether whole or ground–is stored in airtight bags or container after being roasted to lock in their freshness. Ground coffee, compared to whole beans, lose its freshness faster because the surface area bared to air is increased after grinding. If you are among the typical coffee drinkers, your ground-up coffee beans should be kept in an airtight container and must then be used up within 1 or 2 weeks to maintain optimal freshness in every brew. If this time frame is too short for you, opting for whole bean coffee is a better and more cost-efficient option. Believe it or not, the brewing method you use also dictates the kind of coffee that you must use. 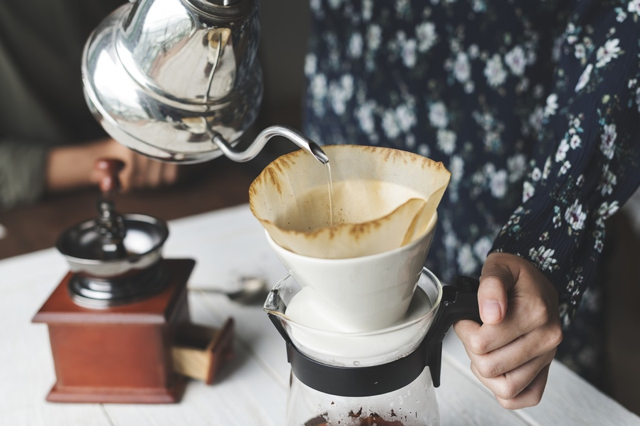 We recommend that you use pre-ground coffee if you use drip brewers such as the manual pour over or a standard coffeemaker. Since pre-ground coffee has the perfect coarseness for these machines. The problem of using coarser coffee grounds with the wrong brewing method is that the coffee is filtered too fast resulting in a weak flavored drink. If the ground is too fine, the flavor becomes bitter as it is overly extracted. Using pre-ground coffee beans removes the guesswork when it comes to determining the grind size. On the other hand, if you use a percolator or an auto espresso machine, we recommend that you use whole bean coffee because these methods for brewing require either fine or coarse grind–something that you won’t get from pre-ground coffee beans. It is crucial to match the grind size to the type of brewing method that you use. The amount of time that the coffee and water need to be in contact is directly related to the size of the grind. Thus, the finer the grind, the more surface area of the coffee is exposed to water and the less time needed to extract the coffee. It can be challenging to remember which grind size is best suited to which brewing method. But we took the liberty to create a chart of brewing method and it’s accompanying grind size to create the perfect cup of coffee. Do You Have Enough Time to Make Coffee? When you use whole bean coffee, you need a burr coffee grinder and measure the right amount of coffee beans to use for your everyday cup of brew. You also need to make sure that your burr coffee grinder is milling the coffee beans to the right mass for your brewing machine. If you have free time plus you’d like to put a little effort in making your coffee, then whole bean coffee is for you. If you are on a tight schedule and want to skip all these preparations, Keurig k200 brewing system is also a good choice. Opting for whole beans and grinding them yourself can have a lot of benefits. But the caveat is that, for you to be able to enjoy your coffee, you need to be able to accurately calibrate the grind size depending on the brewing method that you prefer. When preparing your own coffee, you need to know how to determine the correct grind size. To make it easier for you to remember the grind size, we created a chart to help you identify the grind size that you are making. 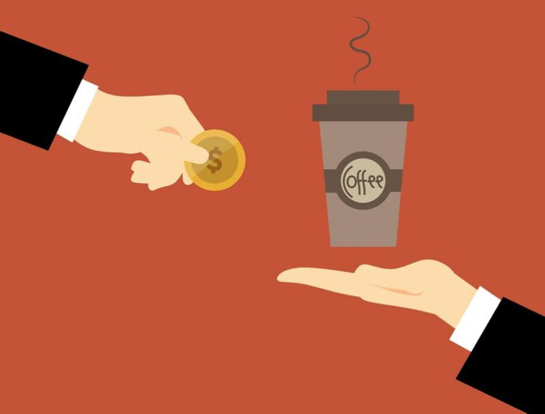 How Much Are You Willing to Spend on Your Coffee? Another thing to consider is how much you are willing to spend on your coffee. If you are like most coffee drinkers, you might opt for ground coffee as it is relatively cheaper. The thing is, ground coffee does not require any special equipment or even skill to prepare. Coffee grinders can cost between $10 and $1,000 thus buying ground coffee saves you this extra cost. Also, it takes skill and knowledge to produce the right grind of bean. As such, people who simply need a cup skip the grinding part by just grabbing a pack of ground coffee. When it comes to whole beans vs. ground coffee beans, why is it that the former is more expensive than the latter? Aside from the fact that grinder machines cost money, the cost of shipping whole beans is also more expensive as they need to be shipped as quickly as possible to avoid contamination and spoilage. The sourcing process plays a vital role on the price of the coffee. For instance, ground coffee can be sourced locally whereas whole beans may come from exotic countries like Brazil or Ethiopia. Is Grinding Your Own Whole Beans A Better Option? The goal of grinding coffee from whole beans is to get to what is sealed inside the bean. The original method of making coffee was merely boiling whole roasted coffee beans in hot water. However, nowadays that is entirely unacceptable because the resulting concoction tastes very bitter and highly caffeinated. Grinding your own coffee gives you a whole new level of flavors that are unlike the conventional pre-ground coffee. Grinding allows you to extract the soluble compounds within the coffee beans effectively so that you get a distinct taste and aroma in each cup you make. Grinding the beans can help the coffee extraction efficiently. Such that, it cuts down the brewing time by increasing the surface area for extraction. With a smaller particle size, the distance to the core of the bean is also made smaller; thus, allowing for complete extraction of all soluble flavors contained within each bean. In a nutshell, grinding your own coffee from whole beans allow you to make fresh batches of coffee all the time. Plus, you have the freedom to use various brewing methods and enjoy different flavors of coffee at home—any time you like. Making your own modifications to the size of the grind gives you more freedom on how well you want the flavors to be extracted. On the other hand, opting for whole coffee beans is a little less convenient because the beans have to be grounded every time you want to enjoy your coffee. Further, you need to make sure that the grind size of the beans is consistent to achieve consistent flavor of your brew. The fastest way for you to get a cup of Joe in the morning is to get ground coffee. Since ground coffee is made commercially, you don’t need to get a burr coffee grinder just, so you can get a uniform grind size resulting to a more consistently flavored coffee. Now if you are still torn between whole beans vs. ground coffee yet you are leaning more towards the latter because of its availability and friendlier to the pocket, then let us tell you a bit why ground coffee sometimes is not the perfect choice. If you love enjoying your coffee with different flavors and aroma, then ground coffee is not for you since it produces consistent flavor. With ground coffee, you are stuck to using a specific brewing method, which in turn cuts your choices of making adjustments to your brew. Another most important reason is that ground coffee is prone to contamination. The oil contained within the coffee beans is very delicate. Contaminants can easily find their way into ground beans resulting in an unpalatable flavor that worsens the longer they are exposed to the environment. When whole coffee beans are ground, they lose 60% of their innate aroma within 15 minutes after being grounded. Exposure to air increases the oxidation rate of the aromatic compounds within the coffee beans so the flavor gets bland the longer the beans are exposed to air. So, think about how much flavor you lose if you opt for ground coffee beans. Towards the end of its shelf-life, the ground coffee beans would have lost almost all of its flavor; thus, it is best to consume them whole. 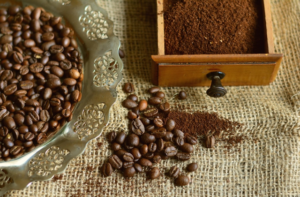 Moisture can also affect the flavor of ground coffee. When exposed even to a tiny amount of moisture, ground coffee starts to dilute its oils—which is the source of the coffee’s distinct aroma as well as taste. This is the reason why ground coffee must be kept in an airtight container. During the roasting process, the coffee beans store a lot of carbon dioxide within the beans. The presence of carbon dioxide is essential as it contributes to the taste of the coffee. Unfortunately, much of this gas is lost during the cooling process and even more is lost in the grinding process. About 80% of carbon dioxide gas is liberated within 60 seconds of grinding. Imagine if you are keeping ground coffee in storage? You will definitely end up having a poor-tasting coffee within a week or so in storage. To solve this problem, grind your coffee before brewing! There are so many things to consider when choosing between whole beans vs. ground coffee. The thing is, both whole coffee beans and ground coffee have their advantages and disadvantages. Asking the right questions can help you determine which type of coffee is best suited to your lifestyle and tastes. Do you prefer to take advantage of the convenience and play it safe? Or do you prefer to drink coffee with exceptional taste and enjoy experimenting with your brews? The choice is really up to you. If you have the time to spend, then go ahead and enjoy coffee from whole beans. Did we miss anything? Feel free to give us your honest comment below. Thanks!